Dan Wolf is a registered psychologist who specialises in dealing with substance abuse disorders. As a Director at Houghton House Group of Addiction Treatment Centres, Dan Wolf is a foremost expert on substance abuse and addiction issues. Graduating from the University of the Witwatersrand and completed his internship at Phoenix House. He ran the Family Support Group at Houghton House for a number of years and has had extensive exposure dealing with addiction and rehabilitation at many of the prominent substance abuse rehabilitation centres in South Africa. In addition to being involved in assessments and individual and group therapies, Dan also supervises lay-counsellors, facilitates family support and aftercare groups, and is well equipped to assess substance abuse and dual diagnosis cases in order to advise on treatment options and a suitable way forward. 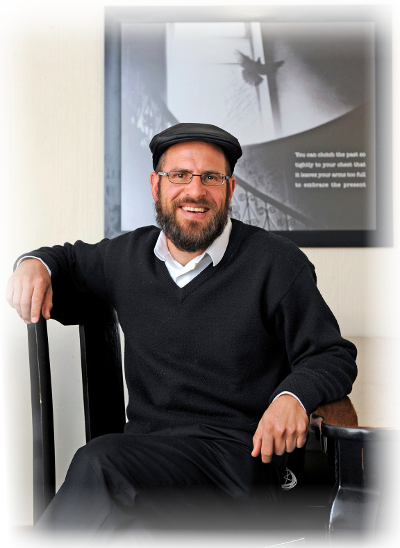 In 2000, Dan established the First Step Substance Abuse Outpatient Recovery Centre, which pioneered as the first intensive outpatient program established in Johannesburg. First Step focuses on treating patients in a less restrictive environment. Dan continues to run and manage this treatment centre. In 2006 Dan Wolf, together with Dr Charles Perkel and psychologist Allan Sweidan opened the GAP . The GAP is a residential treatment facility which, in 2009, merged with Houghton House to form the Houghton House Group of Treatment Centres, which offers the full spectrum of Substance Abuse treatment options. Dan’s network in the field is certainly not restricted to his involvement with the Houghton House Group. He is well positioned to advise on treatment options according to his assessment of the individual concerned, and the various facilities available across South Africa. Based in Gauteng, South Africa, Houghton House has become a treatment centre destination for individuals seeking Recovery and Rehabilitation from substance abuse. Houghton House runs ongoing inpatient and outpatient programmes as well as long-term treatment programmes on addiction disorders, drug and alcohol addiction issues and treatments in Johannesburg.